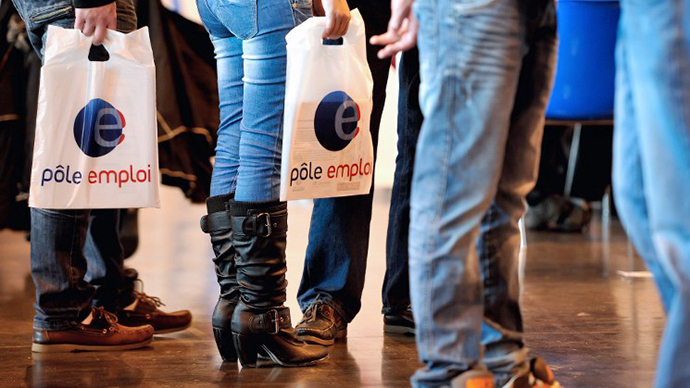 Unemployment numbers in France rose by 43,900 in January and hit 3.16 million, an increase of 10.7 percent from last year, according to the French Labour Ministry. The figures mark a 16-year record. The number of class A jobseekers (registered jobseekers who are fully unemployed) rose by 43,900 last month and totaled 3,169,300, Labour Ministry said on Tuesday, hitting Frances' modern day record of 3.19 million marked in January 1997. Figures have been rising despite Socialist President Francois Hollande’s earlier promise to axe the numbers of jobless in the eurozone's second largest economy to a single-digit figure by December, AFP reports. Hollande seems to be far from sticking to its pledge to "reverse the unemployment curve" by the end of the year as the country faces new economic challenges. 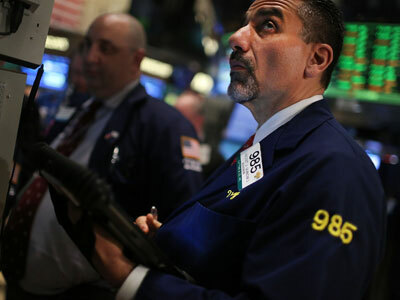 This year’s economic growth forecast has also been altered. The latest European Commission economic report issued on Friday predicts France’s budget deficit for 2013 to be 3.7 percent of GDP, down from 4.6 percent in 2012, yet a long way from the official goal of 3.0 percent. Despite the obvious gloom Hollande said “no” to extra austerity measures in 2013, believing it will only slow growth and add to the state’s economic problems. The European Commission’s unemployment prognosis is also dire. It predicts joblessness will hit a new record of 10.7 percent for the EU in 2013 rising from 2012’s 10.3 percent. In 2014 the EC expects the figure to climb up to 11 percent.